1 answers 2.5 slo blow fuse- is $3.00 the price for one fuse , or a 5 pack ? Hi, all of our fuses come in a pack of 5. 1 answers What's the max voltage on these? It is suitable for use on 376v b+? Hi these fuses are rated at 250 volts. 1 answers My amp calls for 125v fuse. Will it matter that you only sell 250v fuses? 250V is the max voltage rating of these fuses. As long as the voltage is lower than 250V you can use these fuses. 1 answers My amp calls for a 300mA but I'm not sure which one of these would work since they are only listed in amps? 300mA (milliamps) is 0.3 amps. Unfortunately we do not have a fuse with that low of a value. 1 answers have a b&k st202amp, the fuse says 250v 6amp, but replacements gotten at auto store do not fit well. should we be using a different one? You should be using one that is the correct physical size and with the correct amperage, and either a slow or fast blow. 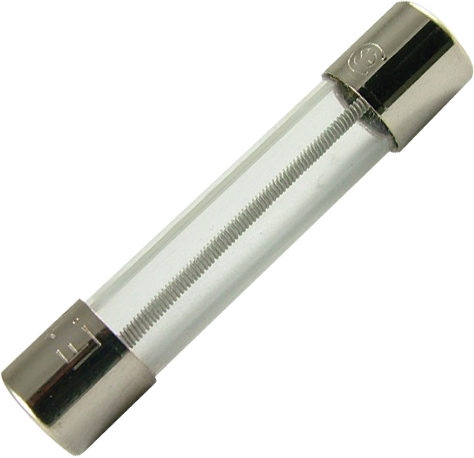 These fuses are 0.25" x 1.25" and we offer smaller ones here: https://www.amplifiedparts.com/products/fuse-slo-blo-5mm-x-20mm. We only sell at 6.25 amp fuse and do not carry a 6 amp. 1 answers My Marshall takes a 6.3 amp and 250 volts slow blow fuse. Do you have one? And is it made in the USA? The highest amperage we carry for fuses is 6.25 amp. We would not advise using this fuse in your amp if it calls for a 6.3 amp fuse. These fuses are imported. 1 answers Will this fit the S-H205 holder? Yes, this is the correct size for that fuse holder. 1 answers I have an old Legend A30 amp that needs a fuse. I dont have the old fuse. Can you tell me what I need and if you have it? We do not have sufficient cross reference materials to verify what fuse is needed for your amp. We recommend you consult a professional repair tech. 1 answers I need a 4amp 125volt fuse for a pioneer receiver. should it be slo blo or fast? We are unable to verify which is needed for your receiver. We advise you consult a professional repair tech for assistance. I used the 1 amp fuse for my 5f1 clone, it does the job. Fast shipping and a good price!